surrounded by family on November 15, 2018. Ken is survived by his wife Joyce of 27 years, children Megan (Jay) Fabian, Rebecca (Brad) , Travis (Shannon) Lee, Chad (Chrystal) Lee, Jessica Lee, Paige Nicks, Samantha Laundrie, Jaqueline Laundrie and Genevieve Jeddrie. He was a loving Grandfather to Madison, Curtis, Grace, Ava, Colton, Norah and Zoey. 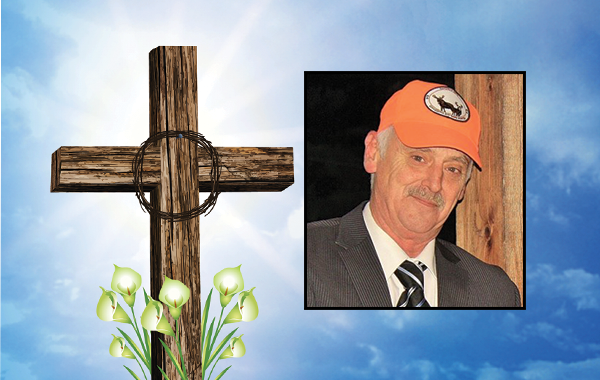 Ken was a loving father, husband, grandfather and friend to everyone. He loved hunting fishing and spending summers with family and friends on Horwood Lake. A special thank you to Dr. Denise Coulas, Dr. Scott Laurie and Bayshore Home Care for the loving care and support in his final days. There will be no service as per Ken’s wishes .